Enjoy a two or three course meal from the theatre menu at Café Rouge Kingsway with a ticket for Woman in Black at Fortune Theatre. A high street favourite with more than 125 restaurants in the UK, Café Rouge has been serving up modern and classic French dishes for over 20 years. 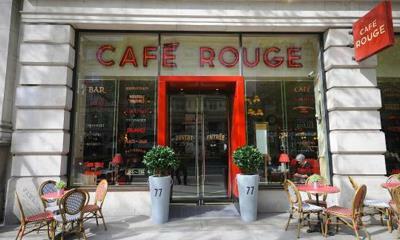 With a great location just a few steps away from London's West End, why not stop by for a pre or post-theatre dinner?